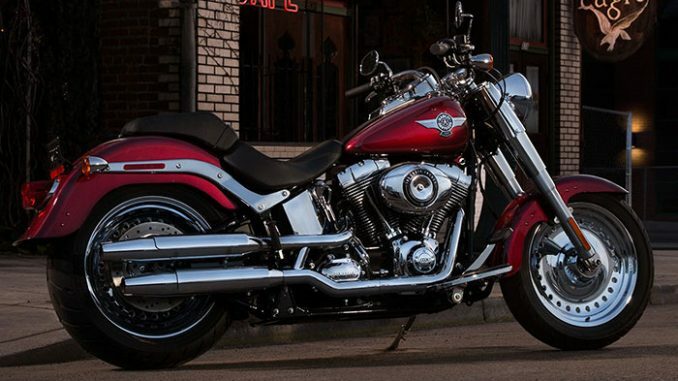 The legendary Fat Boy® motorcycle defined the “fat custom” category and imitators everywhere tried to copy its magic. But this original continues to turn heads wherever it rolls, with fat tires, fat bars, a fat fender and a big, powerful, black powder-coated, counter-balanced Twin Cam 103B™ engine. 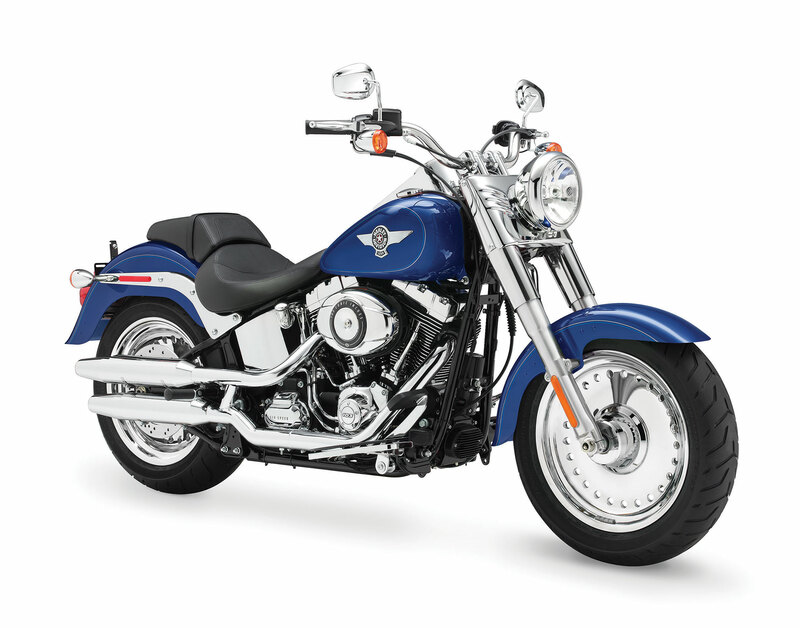 The Fat Boy® model is the very definition of a heavyweight motorcycle, delivering a bold styling statement and a wide, comfortable riding stance. 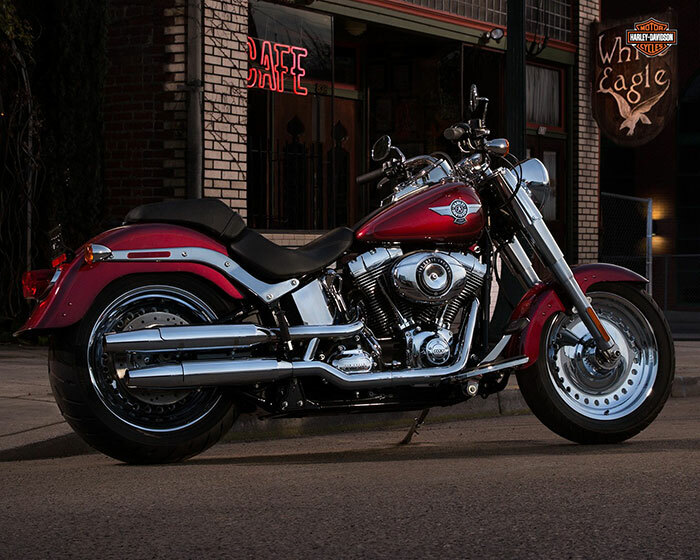 Standard Anti-lock Braking System and Smart Security System option deliver the most advanced technology in a way that only Harley-Davidson can deliver. Recalling the “hardtail” choppers of the ’60s and ’70s, the Fat Boy® motorcycle keeps that heritage alive more than forty years later. This is the original “fat custom” bike—laid-back and luxurious with an unmistakable profile on the road. But the nostalgic style isn’t just about the confident stance, chrome and old-school detail. It’s how you look riding it. It’s how it feels. It’s the classic, relaxed riding position. You’re not just cruising. You’re in charge—kicked back on a throne of machined metal surveying your domain. These Mirror Chrome Bullet Hole Disc wheels speak for themselves. 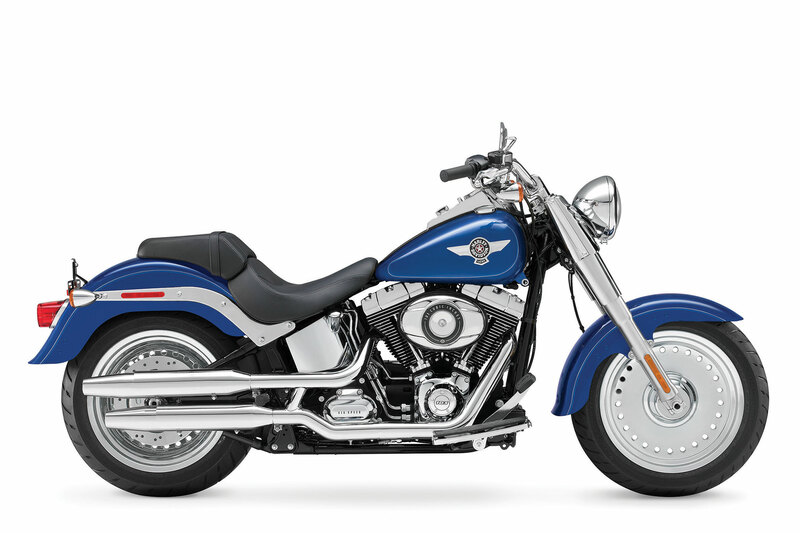 So this is the iconic look for the Fat Boy® model. You can roll with gleaming eye-appeal that’s thick with legendary Fat attitude, right off the lot. Weight, As Shipped 694 lb. Weight, In Running Order 725 lb.